Esoteric Environmental is a family run business specialising in the licensed removal and management of all types of asbestos containing materials. We provide a professional, systematic and affordable solution to the removal of asbestos materials from both commercial and domestic properties in the UK. The use of asbestos is banned in all building structures in as much as 60 countries across the globe. This ban has been in place since 1999 due to the dangers and risks associated with the material. It is believed that around 5000 workers are killed each year as a result of exposure to asbestos. Properties built pre-1999 that are still standing may have asbestos containing materials within their structure. Failure to remove these materials safely and responsibly can cause long-term exposure to air-borne asbestos particles. This can often have fatal consequences. 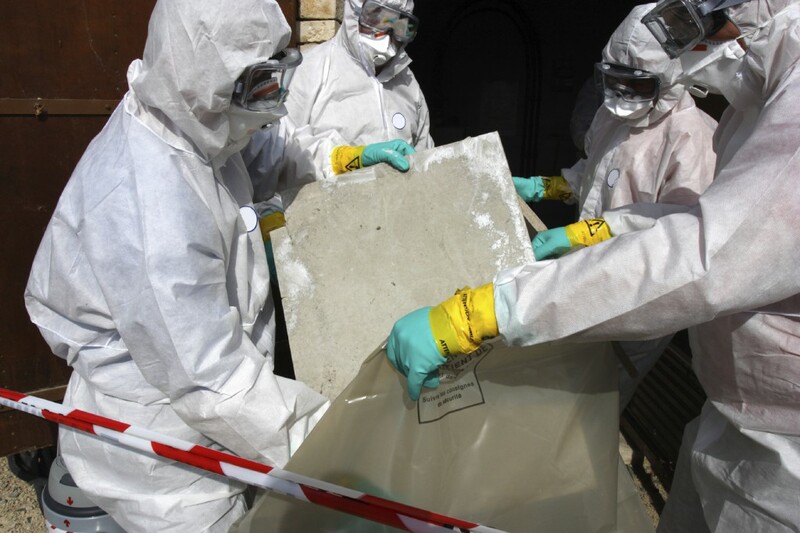 The process of asbestos removal is often categorised and labelled as either licensable or non-licensed. Each one offers its own appropriate measures, applicable actions and preventative methods. Different qualifications are required to remove each category too. This refers to activities that involve significant hazard or risk and must be performed by a licensed contractor. These licenses are issued and granted by the Health and Safety Executive (HSE). They will state that all work in this area must be brought to the attention of the ‘appropriate enforcing authority’. This type of asbestos removal still requires training and qualification – but a licence is not always necessary. This is usually due to lower associated risks. Knowing which method or category is best suited to your requirements will involve a risk assessment. This is something you should conduct before any asbestos-related work in truth. The assessments and the results they produce should provide key bits of information, like the asbestos type and the recommended level of protection etc. Our experienced managers provide our clients with practical and sound advice to ensure the correct solution is chosen for any asbestos related problems. Working strictly in accordance with the Control of Asbestos Regulations 2012 and using the latest technology available to the industry and highly trained staff we provide an efficient and cost-effective service to our clients. With attention to detail, we ensure that all works are carried out with an absolute minimum of fuss and disturbance to our customers. Why not give us a call today on 01603 280 868? Ask us whatever questions you may have, or just get in touch to find out some more information. Alternatively, you can leave us a message at [email protected] – we will be back in touch as soon as possible!